Virtually unknown until the late 1940s The Reverend Robert Walker Skating on Duddingston Loch (to give the full name of the painting more commonly known as The Skating Minister) is now something of a Scottish cultural icon. The image was created by Enlightenment portrait painter Henry Raeburn around 1790 and is said to have inspired Catalan architect Enric Miralles in creating the abstract ‘trigger panels’ that adorn the Scottish Parliament building. 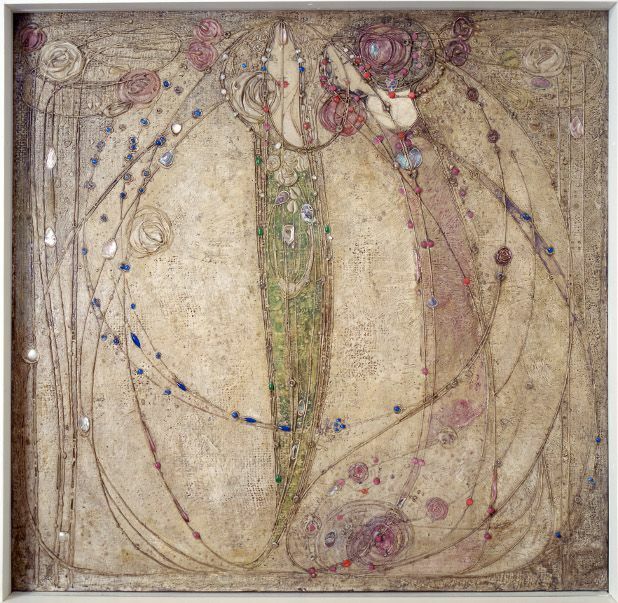 Charles Rennie Mackintosh may be the most famous artist to come out of the Dear Green Place, but his contemporaries, including his wife, Margaret Macdonald Mackintosh, produced equally outstanding, groundbreaking work. The gesso panel The White Rose and the Red Rose, which can be seen on display in Glasgow’s Hunterian Gallery, was created for a setting called ‘The Rose Boudoir’, which the Mackintoshes produced for a major international exhibition at Turin in 1902 and features delicate swirls and fine lines that were piped onto the plaster-like surface, like icing. From book jackets to the celebrated murals in the Ubiquitous Chip restaurant, the work of artist and novelist Alasdair Gray can be viewed in diverse locations across his native city. The exhibition Alasdair Gray – City Recorder, which runs at Glasgow’s Gallery of Modern Art until June 2012, focuses on the paintings, drawings and collages Gray created while working as ‘artist recorder’ for Glasgow in 1977, including Sweeney Todd Hairdressing Salon, St Vincent Place which recreates the busy city centre salon on paper from ink, watercolour and acrylic.